This blockchain developer means business. In case you haven’t noticed, the cryptocurrency market has been nothing short of unstoppable over the past year and change. 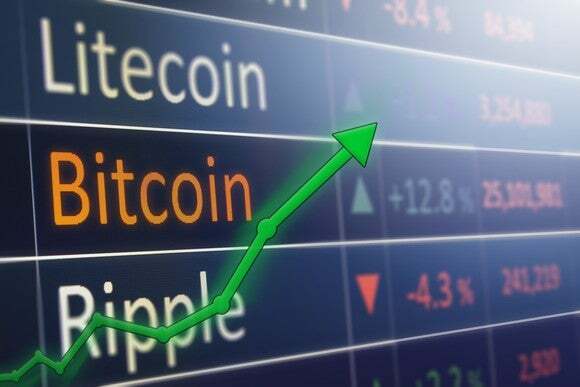 After beginning 2017 with a combined market cap of $17.7 billion, the aggregate value of all cryptocurrencies soared to as much as $835 billion on Jan. 5. Though they’ve cooled a bit since, we’re still talking about a roughly 4,000% increase in digital currency market caps in 12 1/2 months. Put simply, investors have never seen anything like this before. As you might have rightly assumed, bitcoin, the world’s largest cryptocurrency by market cap, and the virtual coin that merchants are most likely to accept, tends to get a lot of the credit for this rally. It was the first to bring blockchain technology into the mainstream — blockchain being the digital, distributed, and decentralized ledger underpinning virtual currencies that’s responsible for recording all transactions — and its network remains the most used of any cryptocurrency. But truth be told, this rally has been about way more than just bitcoin over the past couple of months. The market cap of every cryptocurrency not named “bitcoin” has jumped from $2.24 billion on Dec. 31, 2016, to $555 billion as of Jan. 8. In actuality, we’re seeing a coming-out party for blockchain technology and virtual coin use for lesser-known cryptocurrencies. For example, Ripple emerged from bitcoin’s shadow to jump to a nearly $150 billion valuation in early January. Ripple, which is laser-focused on partnering with large financial institutions, announced in June 2016 that seven big banks were testing out its blockchain technology. 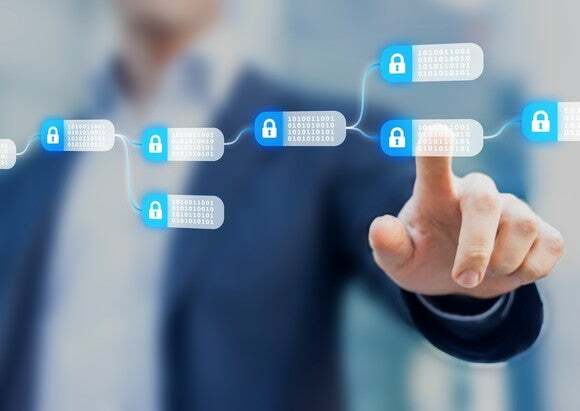 However, it’s been lights-out since November, when it announced a real-world test of its blockchain with American Express (NYSE:AXP) and Banco Santander (NYSE:SAN). The deal allows U.S.-based American Express users to send non-card payments over the FX International Payment network to U.K. Santander accounts, and it’ll process those transactions through Ripple’s blockchain. Considering that cross-border payments can result in hold periods of up to three to five days while payment verification is completed, the prospect of an instantly settling cross-border payment with Ripple’s blockchain is exceptionally attractive. Also impressive are Ripple’s average transaction costs, which are a fraction of a cent. By a similar token, Stellar has turned in a dazzling performance. While it hasn’t gained as much as Ripple, Stellar’s XLM coin (also known as Lumens) gained over 14,500% in 2017. A lot of this bullishness derives from Stellar’s announcement in October that it was partnering on a blockchain project with IBM (NYSE:IBM) and KlickEx in the South Pacific. Stellar’s partnership with IBM allows a dozen big banks in the South Pacific region to develop and deploy a version of its blockchain technology to quickly settle payments made to IBM. Stellar touts a network that can validate and settle transactions in two to five seconds, which again is light years ahead of the multiple-day holds sometimes placed on cross-border payments. 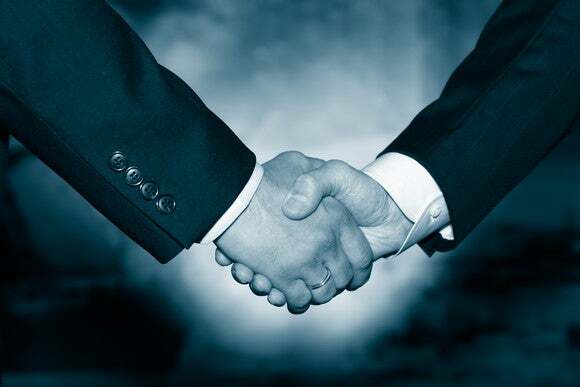 But these two cryptocurrencies aren’t the only ones forging major partnerships. So far this month, Qtum has made ripples of its own by announcing two major partnerships in China, which we’ll get to in a moment. Qtum is a blockchain-based company that looks to take the best attributes of bitcoin’s core infrastructure and Ethereum’s Virtual Machine to create a superior blockchain experience for enterprise customers. Its appeal really boils down to two key concepts. First, Qtum, like Ethereum, incorporates smart contract protocols that helps with facilitating, verifying, or enforcing the negotiation of a contract. Smart contracts are viewed as being far more legally binding than paper contracts, which makes them a dangling carrot for business clients. Second, Qtum’s Simple Payment Verification protocols are opening the door for Qtum to offer blockchain applications in lite wallets via mobile applications. The best part is that these mobile apps are still decentralized and secure. Qtum also notes that despite regular updates to its blockchain, it’ll remain compatible with bitcoin gateways and existing Ethereum contracts. This could be particularly attractive to businesses that have already incorporated Ethereum smart contracts and worry about switching over to Qtum’s blockchain. These attributes become all the more exciting given that Qtum announced a partnership with 360 Finance, a subsidiary of Qihoo 360, a leading Chinese cybersecurity company that went private in 2016, on Jan. 8. Qihoo 360 is also the creator of the 360 Browser and 360 Search engine in China, the latter of which is the third most popular search engine, comprising about 10% of search market share. In other words, there’s a name-brand appeal to this partnership. Under the terms of the deal, the 360 Blockchain Research Center, BTN Foundation, and Qtum Foundation entered into an understanding to form a blockchain technology laboratory. This partnership will oversee the development of “next-generation smart-contract virtual machines, smart contracts security and formal verification, new consensus models, blockchain software security, blockchain and internet security, decentralized storage, and computing technology,” according to Qtum’s blog. Then, just a day after announcing its partnership with 360 Finance, Qtum announced a strategic collaboration with Baofeng Bokocloud to achieve the world’s first blockchain consensus network service. Baofeng’s media player is one of the more popular video and streaming services in China, with more than 200 million active users, which again gives Qtum access to a name-brand partner. Baofeng plans to use Qtum’s technology to strengthen copyright protections, as well as handle payments users make to the company. What might be the most interesting aspect of this partnership is that Baofeng plans to help Qtum run over 50,000 full nodes on its Bokocloud service. This should give Qtum’s network the ability to scale and remain secure as it seeks new partners. And there’s a good chance Qtum isn’t done. Patrick Dai, CEO of the Qtum Foundation, anticipates announcing five major partnerships in 2018. With only two down, there could be plenty of fireworks left. Though the cryptocurrency landscape remains exceptionally risky, unregulated, and fragmented at best, we’re beginning to see a few more serious contenders emerge. Qtum may wind up being on that short list. Next post Will Blockchain Stand The Test Of Time?